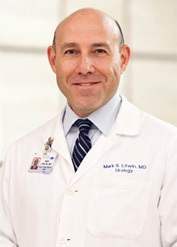 UCLA Urology begins with U. You, the patient, are the central reason we are here. The faculty and staff of UCLA Urology are deeply committed to providing you with outstanding and personalized clinical care. UCLA Urology has consistently been ranked Best in the West and top 3 in the nation by US News & World Report’s annual survey. UCLA Urology counts on your generous support to sustain our innovative programs, allowing us to provide high value urological health care so that our patients enjoy optimal health. Optimize urological health through community partnerships. You can designate your support to your favorite doctor, research, clinical trials or for the department to support our important work of healing humankind, one urologic patient at a time.